An app website is a great way to promote your app beyond the various app stores. It's also a tried and true way to provide support, especially for feature rich apps. Request your free quote below by telling us a little about your app and specific needs. 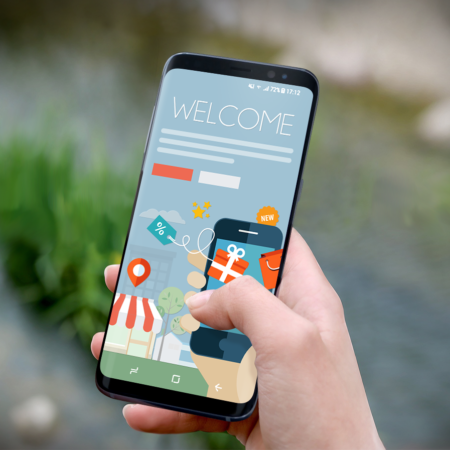 Your new app website can be a simple landing page, or you can go all the way with a support forum, e-commerce and more! When you order any custom app website build totally over $500 or include a domain & hosting, we’ll give you a starter set of 250 App Promo Cards. Just pay shipping. A $35+ value! 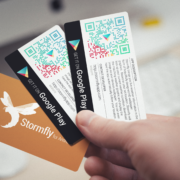 App Promo Cards allow you to share your new app(s) in style. If you already have an app, please link us to its listing in the app store. If you have multiple apps, link us to your dev profile on the app store. Please tick each option you would like included in your custom quote. Any additional features or requests can be specified in the details field below. Each feature will be included as a line item in your custom quote. STARTING AT $50.00 per screen Sale! 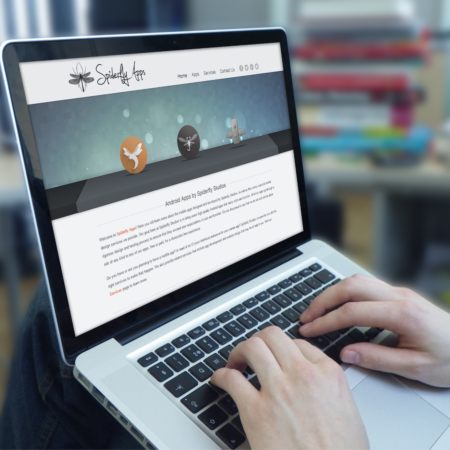 Spiderfly Studios does not host any websites directly. All hosting solutions will be 3rd party options. By default all websites will be powered by WordPress, but HTML options are available upon request. All rights to website content, media and administration will be retained by Spiderfly Studios until all related invoices have been paid in full. Sale prices for all websites are based off of the base price only. Customized add-ons and upgrades may not be included in a sale or promotion. 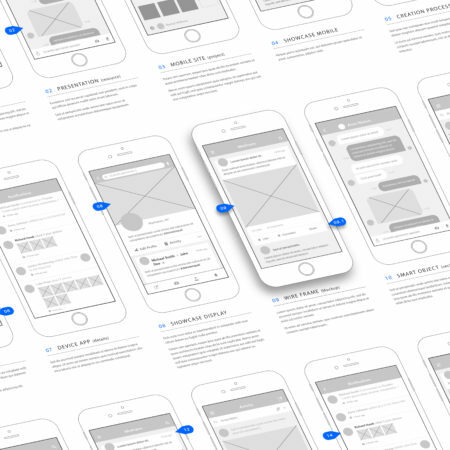 During the design process, concepts will be shared in mockup form only. Upon client's final design approval, all purchased concepts will be made available to download and all rights to the design(s) will be released. Revisions are minor edits made to a current design. Concepts are different designs for the current project. Each additional revision and concept may increase project turnaround time. 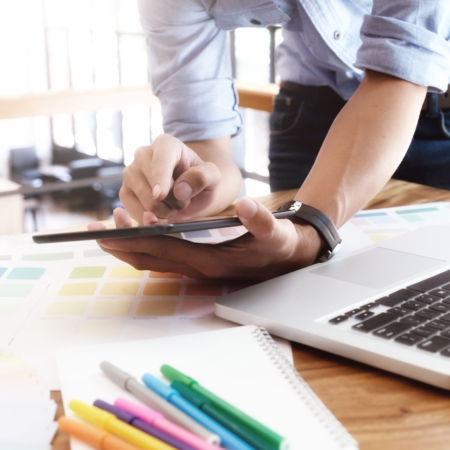 Turnaround time will begin once the invoice has been paid in full, upon delivery of design guidelines from the client, and once the project has been scheduled. The turnaround may be subject to change based on specific project needs. Spiderfly Studios bears no responsibility for the directed use of client supplied graphics, media (audio and/or video). We reserve the right to refuse any design project which may be considered unethical, such as re-creating someone else's work which is protected by copyright. Any requested revisions or changes after client approval may result in additional invoicing.